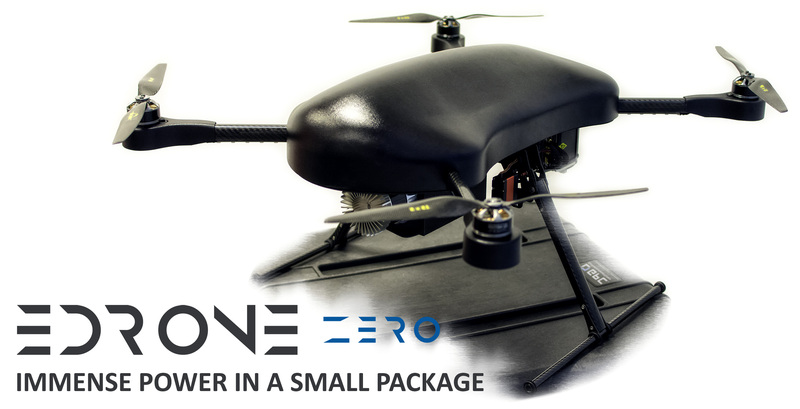 The e-Drone Zero is a powerful, long endurance quadcopter all in a compact package and run by one of the most advanced Artificial Intelligence powered drone operating systems around. It is fine tuned to pioneer Intelligent Productivity, advanced security and the newest available technologies. Powered by the highest end Hydrogen Fuel Cell System in the world allows the UAV to fly longer while dramatically reducing downtime as refuelling takes just minutes. Happy to be on board with the industry leading DroneMajor Group! Check out our dedicated page there as well!